This saftey razor from Merkur delivers optimal results with its patented blade fine adjustment. Whether soap, cream or foam is used, the FUTUR saftey razor is the right razor and convinces with its performance. 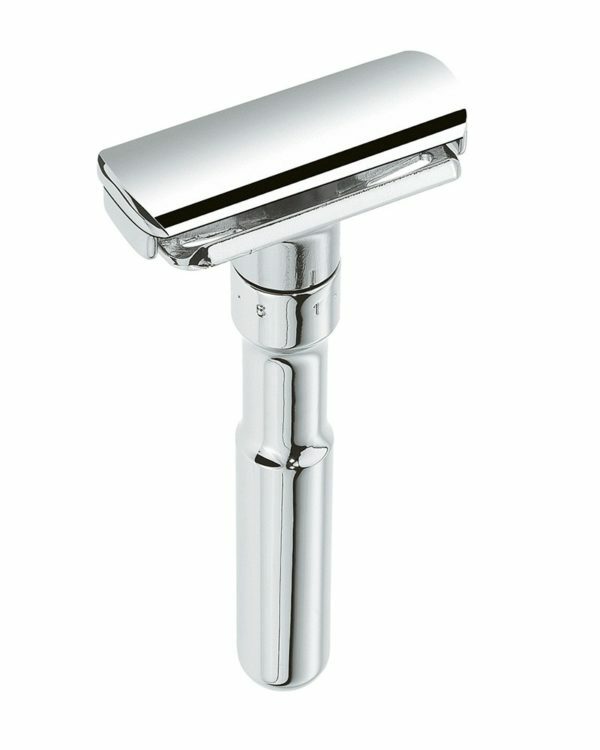 As usual with Merkur, the razor offers best function at top quality.